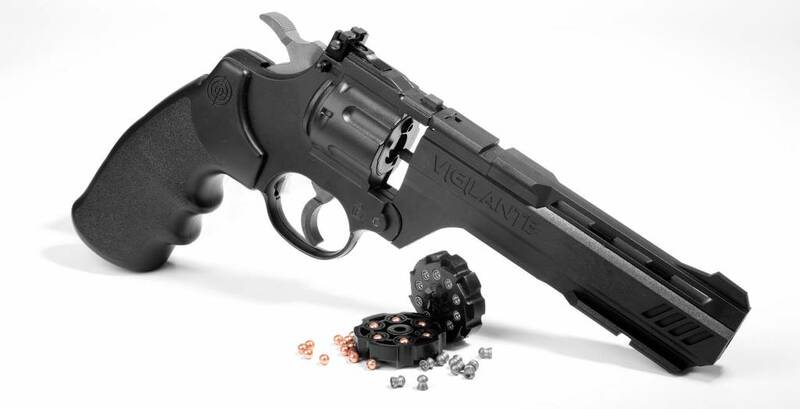 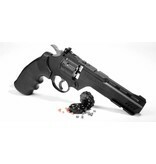 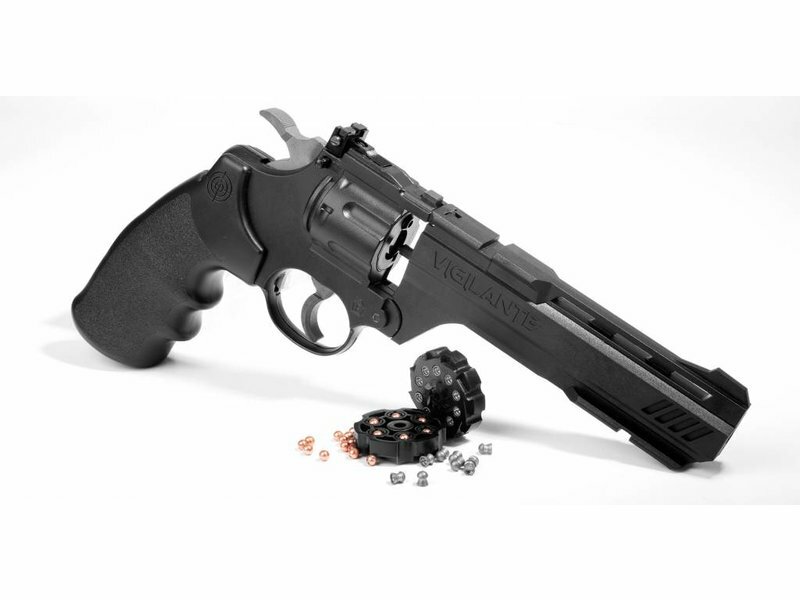 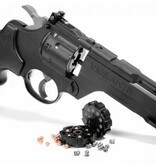 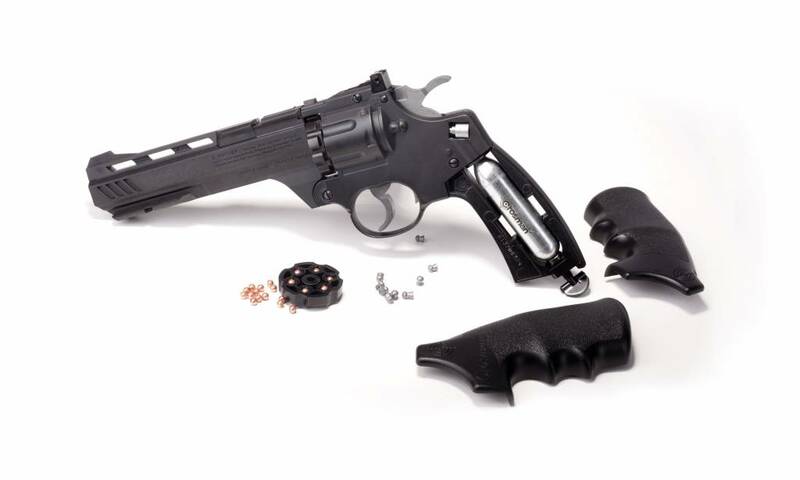 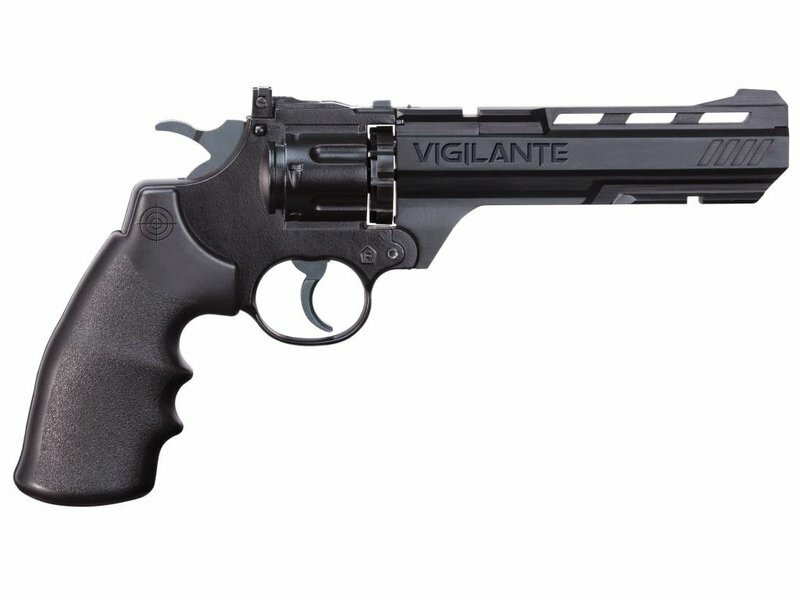 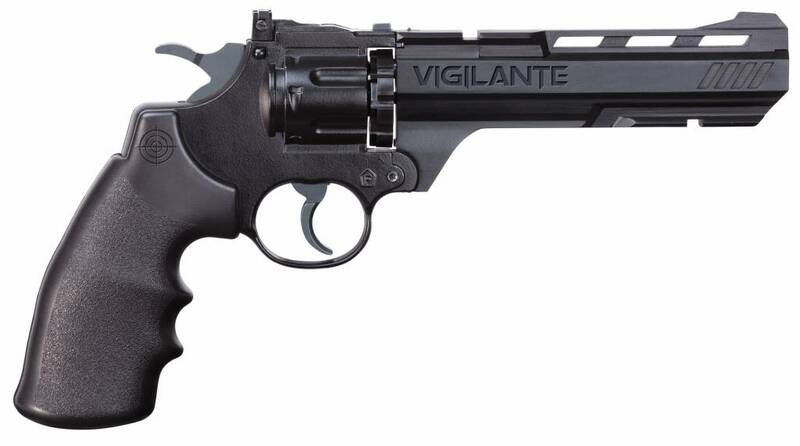 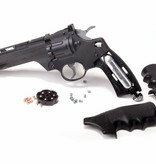 The Vigilante is a double action, semi-auto revolver that shoots pellets and BBs. 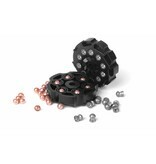 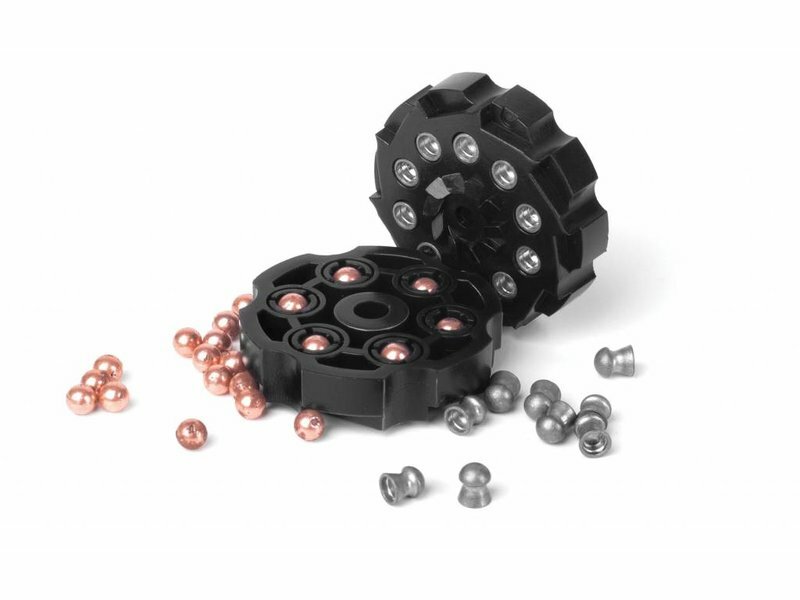 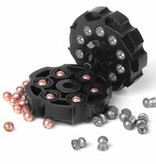 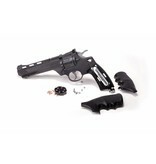 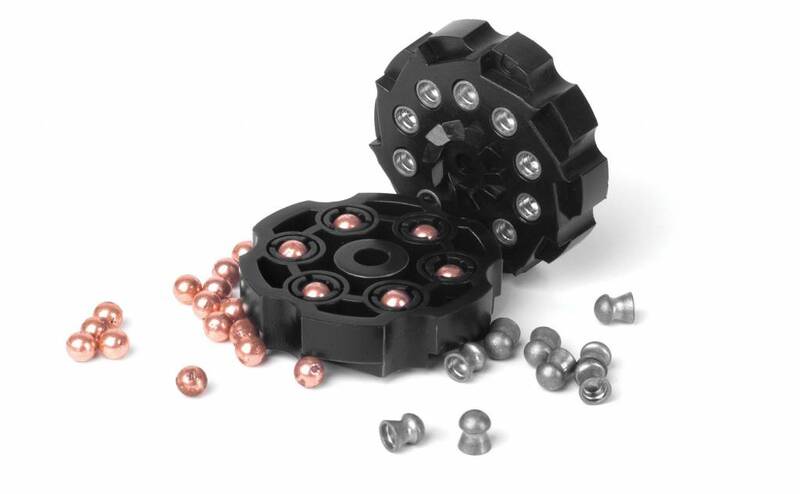 Included is a 10-shot pellet clip and a 6-shot BB clip. 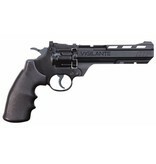 It's powered by CO2 and shoots pellets up to 435 fps and BBs up to 465 fps through a 6-inch rifled steel barrel. 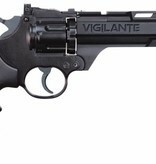 The Vigilante has a fixed blade front sight and a fully adjustable rear sight. 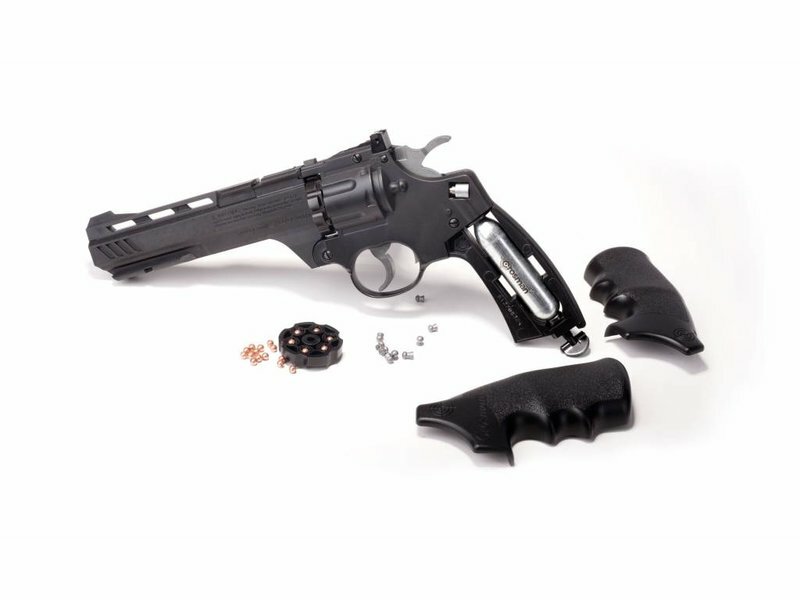 The dual accessory rails can accomodate picatinny or weaver mounts for attaching a scope, laser, or flashlight for the ultimate backyard plinking air pistol.